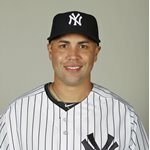 Carlos Beltran is a Puerto Rican professional baseball outfielder for the Saint Louis Cardinals of Major League Baseball. 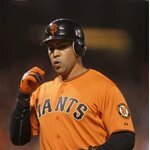 Beltran is known for being one of the best all-time statistical hitters in Major League Baseball postseason games, which has earned him nicknames such as "the new Mr.October", "Mr.October, Jr.", "Senor Octubre" and "the real Mr.October" from the media. He leads several offensive categories during this month, including slugging percentage, runs scored in a single season and at bats per home run-ratio. 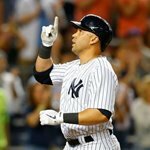 Beltran is MLB's all-time leader in OPS (on-base plus slugging) during the postseason, surpassing Babe Ruth and Lou Gehrig among players with at least a hundred at-bats. He has broken the 1.000 OPS mark in four different playoff series. After selecting Beltran in the 1995 Major League Baseball Draft, the Kansas City Royals assigned him to their rookie-level team in the Carolina League, the Wilmington Blue Rocks. Beltran made his Major League debut on September 14, 1998, playing 15 games. Going into 1999, he won the job as the Royals' starting center fielder and leadoff hitter. He displayed significant power by midsummer, and was moved to the #3 slot in the batting order. 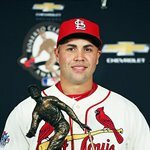 Beltran won the American League Rookie of the Year award, batting .293 with 22 home runs, 108 RBI and 27 stolen bases. On September 27, 1999, Beltran made the final out at Tiger Stadium striking out against relief pitcher Todd Jones as the Detroit Tigers beat the Royals 8–2. 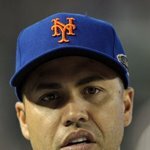 On August 11, 2005, in a game against the San Diego Padres at Petco Park, Beltran was seriously injured after colliding head-to-head with fellow Mets outfielder Mike Cameron when both were diving to catch a ball in shallow right center field. Cameron missed the rest of the season with a concussion, temporary loss of vision, and two broken cheekbones. Beltran suffered vertigo for a while, although both players eventually recovered. A quadriceps injury bothered him most of the season and limited his speed. 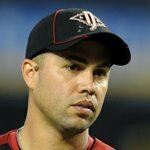 In 582 at bats, Beltran's stats included career lows in batting average (.266), home runs (16), runs batted in (78), runs scored (83), and stolen bases (17). 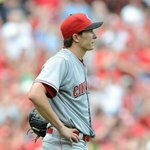 Despite the limited participation, he was still voted to his second All-Star team.